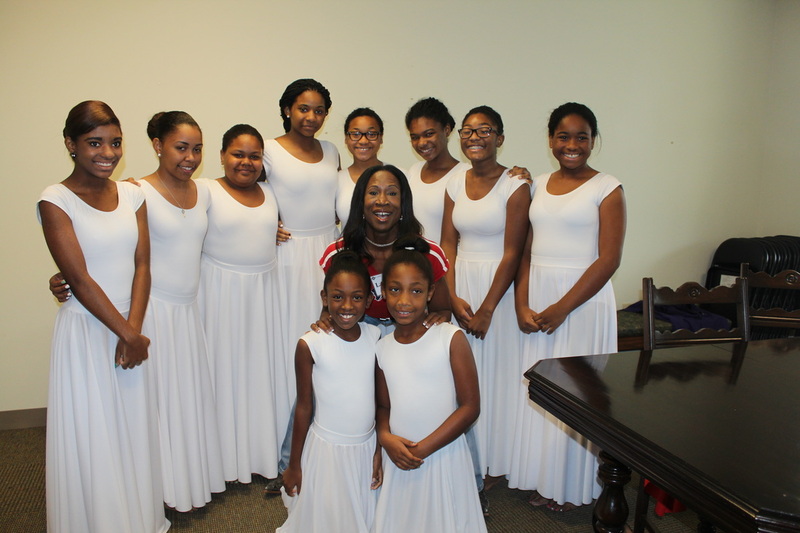 "Bringing People to Christ and Helping Them to be Christ-like"
Under the direction of choreographer Lauren Anderson, the Holy Spirit Dancers are an ensemble of young women that praise the Lord through the ministry of dance. The members are ages 9 through senior in high school. They perform on special occasions throughout the church year--especially on combined services on fifth Sundays. Members of the ensemble commit to purchasing uniforms and attending all rehearsals before a performance. Rehearsals are generally between services and on a few Saturdays before a performance.